Walk into any upscale market and you’ll see an array of high-end chocolate bars labeled with food industry buzzwords: artisanal, small batch, fair-trade. They’ll probably have slick packaging and presentation. But they’re mostly a sham. Most consumers can’t taste the difference between often costly fine chocolate and supermarket staples. Some believe chocolate-makers can’t really differentiate between the two either. That’s why leaders in the industry have created the Heirloom Cacao Preservation (HCP) initiative. It’s a joint effort between the Fine Chocolate Industry Association and the U.S. Department of Agriculture’s (USDA) Agricultural Research Service, and an outgrowth of the booming artisanal chocolate business. The program is utilizing the industry’s most discerning palates, along with genetic analysis, to identify—and hopefully preserve—the fine-flavored cacaos of the world. HCP’s purpose is to increase the availability of quality cacao and encourage farmers to grow it in a market that’s currently overwhelmed by flat-taste, high-yield varieties. Actually, corporate chocolate giants such as Lindt, Hershey’s and Mars have long had an interest in genetics—but mostly as a tool for preserving and propagating cacao beans that consistently provide the highest yield and can withstand drought and diseases. And the USDA’s Agricultural Research Service, the Cocoa Research Center in Trinidad and the International Cocoa Collection of the Tropical Agricultural Research and Higher Education Center in Turrialba, Costa Rica, all have ongoing programs to analyze and catalogue general data on cacao genetics. But the HCP endeavor is a completely different type of project, one that prizes quality over quantity. It’s the first systematic effort by the chocolate industry to look at genetics in terms of flavor. Historically, when the industry identified a tree with a high bean yield, cacao farmers would propagate that variety by taking cuttings of a mother tree and grafting them onto a less desirable type of cacao tree, a process known as cloning. For example, a high-yield bean might be grafted onto the rootstock of a more disease-resistant tree, creating a variety that could more effectively keep up with the industry’s demands. Two of the most popular high-volume, fast-producing varieties are CC-N51 in Ecuador and Cacao Mercedes in West Africa, which can both conceivably produce fruit in as little 18 months after being grafted. But cacao of this pedigree is generally low quality when it comes to taste and better suited for bulk production of cocoa butter and cocoa mass—critical for making Snickers but a detriment when it comes to crafting a quality bar with few ingredients. Until recently, agronomists claimed there were only three varieties of the Theobroma cacao tree: Criollo, Forastero and Trinitario. But in 2008, Juan Carlos Motamayor, a tropical agronomist for the USDA's National Clonal Germplasm Repository and lead scientist of cocoa genetics at Mars Incorporated (makers of M&Ms, Twix, Milky Way and many other candies), published a study in the journal PLOS One that upended industry beliefs. His team conducted genetic analysis on samples from the three known species. After comparing DNA snippet patterns, they discovered 10 distinct cacao genotypes. A few years later, most believe the number is probably much higher, says Lyndel Meinhardt, a research leader at the Agricultural Research Service’s sustainable perennial crops lab. The Mars research, he says, accounted for samples from only a handful of germplasm banks and collections in the world, and didn’t represent cacao genotypes still out in the wild that have yet to be discovered. Meinhardt is helping to build a genetics database of cacaos known to have the finest flavors and has already genotyped HCP’s first heirloom samples. The current count is 14 types of cacao, but that number is expected to grow—the USDA continues to make efforts to locate more diverse botanicals in unexplored areas of the Amazon. For the USDA, conducting genetic research to encourage the production of better cacao is ultimately about job creation in this country. Chocolate production still frequently requires the use of domestic products. “You make chocolate from U.S.-grown sugar, U.S.-grown milk, U.S.-grown almonds and peanuts. So by supporting the chocolate industry, we’re also supporting a lot of other U.S.-grown commodities,” says Meinhardt. And it does appear that the heirloom-ization of chocolate is helping both U.S. chocolatiers and the farmers from whom they source their ingredients. Masonis makes one of his bars from Maya Mountain Cacao from Belize, one of two heirlooms inducted earlier this year. The Maya Mountain business, founded five years ago, is made up of a network of 309 farms in the region. MMC buys wet cacao beans from local farmers, ferments and dries the beans, and then sells them, mostly to small-batch chocolate-makers like Dandelion. 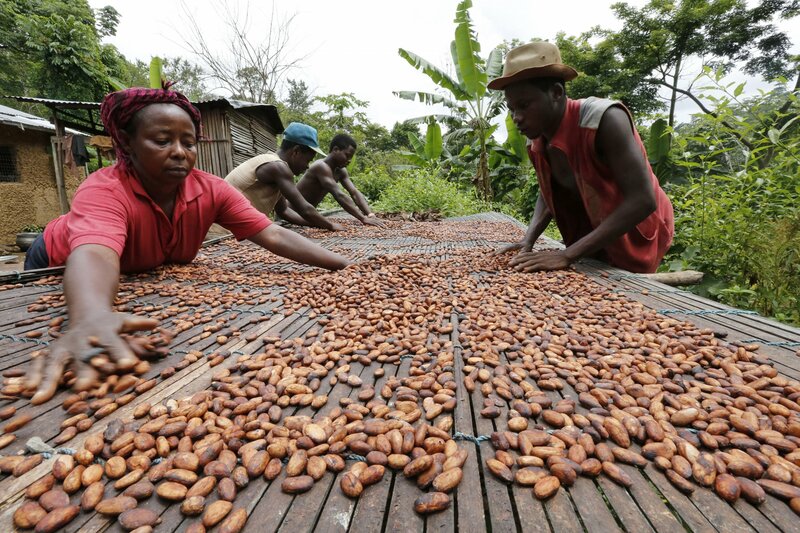 The premium beans go for $5,600 per metric ton, which is approximately $2,600 more than the current world market price for cacao beans, and Maya Granit, managing director for MMC, says approximately $3,300 of the sale of each metric ton goes directly to the farmer. She believes HCP’s designation put Belizean cacao on the map. 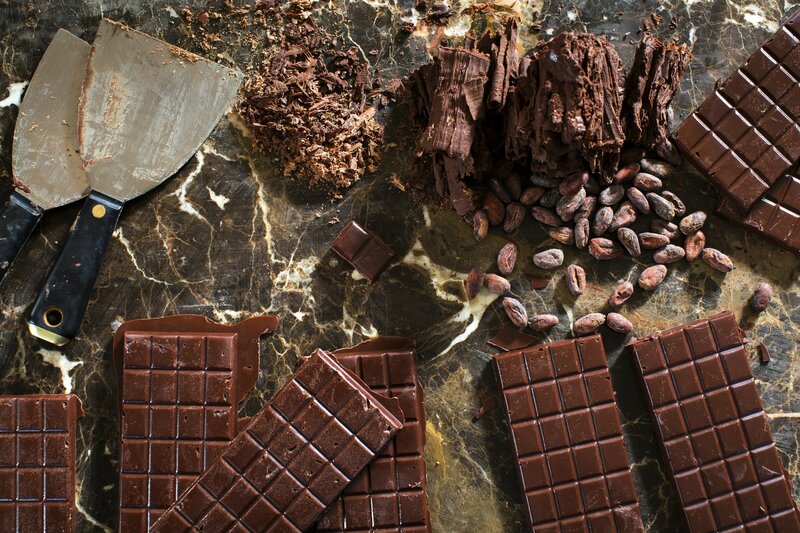 Beth Kimmerle, author of Chocolate: The Sweet History, says the HCP initiative shows that “flavor has currency again.” In recent years, companies such as Dandelion and Brooklyn-based Mast Brothers have proved there is a place in the market for a gourmet bar. Kimmerle says consumers would purchase even higher-end chocolate if businesses were willing to take the risk. Last year, the chocolate company To'ak produced a small batch of dark chocolate bars made from a rare variety of Ecuadorean heirloom cacao. Each bar came packaged in a handcrafted Spanish elm wood box with handmade tasting utensils—the idea being that handling pieces with fingers could diminish the flavor. The specialty bars, priced at $260 each, sold out immediately. It’s proof positive that HCP designation may turn out to be a useful marketing tool to target passionate chocolate lovers by creating a way for both chocolate-makers and consumers to spot quality in the product, much like the wine industry’s appellation system.